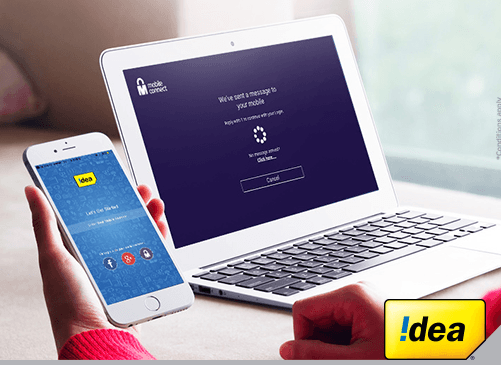 Idea Cellular has come up with yet another scheme, but this time for Idea postpaid customers. India’s third largest telecom network, today launched a new ‘Data Jackpot’ program, under which, it is offering 1GB to 10GB data jackpot at just Rs. 100. This offer is exclusive to My Idea app. The best part of this scheme is that the benefits will be valid for three months. The minimum data benefit a customer can get is 1GB, and the maximum is 10GB. Idea claims that the data benefits depend on the circle. Furthermore, Idea promises that the users who choose for the Data Jackpot offer will get 1GB data for just Rs. 100 after three months as well, which is an added advantage. “The offer is available for subscription for a limited period only. Postpaid customers who wish to avail the offer need to apply through the My Idea app available on Google Play Store and iOS” said Idea in the press statement. Idea, last week rolled out a data booster plan of Rs. 300 for the Idea postpaid consumers who are under the postpaid plan of Rs. 199 and above. With the Rs. 300 booster pack, the company is offering 1GB data per day for a billing cycle. The plan is available at a discounted price for first three months, and later on, Idea will charge Rs. 300 per month. Moreover, Idea postpaid customers above Rs. 499 plan can get the data booster for free. Till date, almost all the operators are concentrating on data-centric offers only for the prepaid users, but Idea is the only one providing offers for postpaid users as well. Recently, Vodafone and Idea gave free data up to 10GB to all their postpaid customers for free. With this new Jackpot offer, Idea is looking to match the Reliance Jio Summer Surprise plan. Under the Summer Surprise program, Jio is offering four months of complete 4G services at just Rs. 402 (Rs. 99 JioPrime plan + Rs. 303 basic plan).